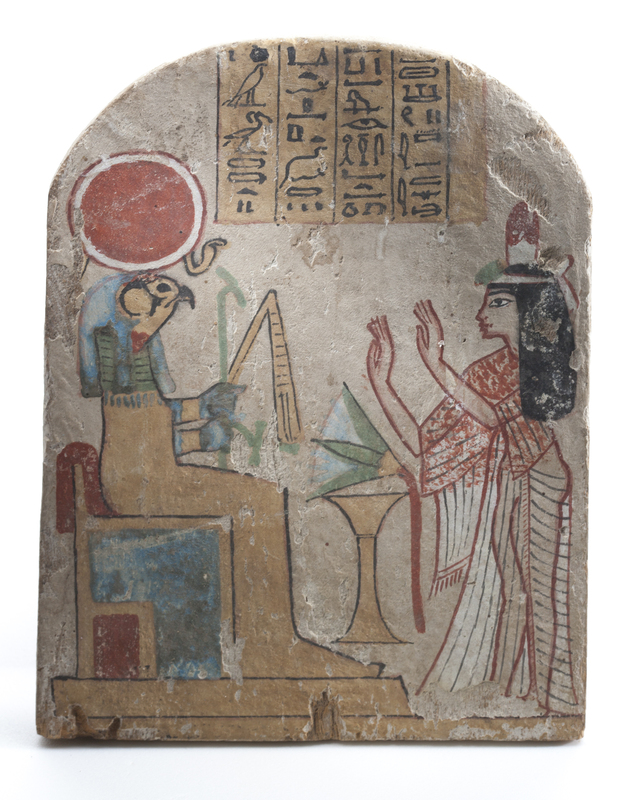 Painted wooden stela of a woman named Shauamunimes, showing her worshipping the god Re-Horakhty. Third Intermediate Period, about 900 BC. Image courtesy the Houston Museum of Natural Science. There’s something about the iconic Pyramids at Giza or the distinctive paintings in a Pharaoh’s tomb that keeps researchers and tourists coming back to Egypt. From the earliest days of Imperial Rome, when no vacation was complete without a visit to those fabled lands, to the heyday of nineteenth century mummy unwrapping parties in Europe, and into our modern digital age, everything about Ancient Egypt fascinates. We return again and again to Egypt, whether in person, through a museum or a book, or even via a satellite map online, to explore the unique cultural legacy of its art and architecture. This fall, discover or re-discover that eternal appeal with our course, “Egyptology: Unraveling the Story,” featuring expert lecturers on Egyptian culture and history. Learn the details of the ancient practices of medicine, including magic and mummification, and the complicated history between Egypt and other ancient civilizations. Explore the hieroglyphic language that has fascinated visitors for centuries and the long history of archaeology in the region. The world of ancient Egypt has never been closer for Houstonians, thanks to the new Hall of Ancient Egypt at the Houston Museum of Natural Science. At the conclusion of our course, participants will receive a guided tour of the permanent exhibit with Dirk van Tuerenhout, Ph.D., curator of anthropology at HMNS, and museum master docents.